1 Coconut (Milk) – taken the traditional way- by grinding the scraped coconut with water and squeezed out the coconut milk. You can also use Maggi or Nestle Coconut Milk Powder. Should have around 1.5 litres of Milk. 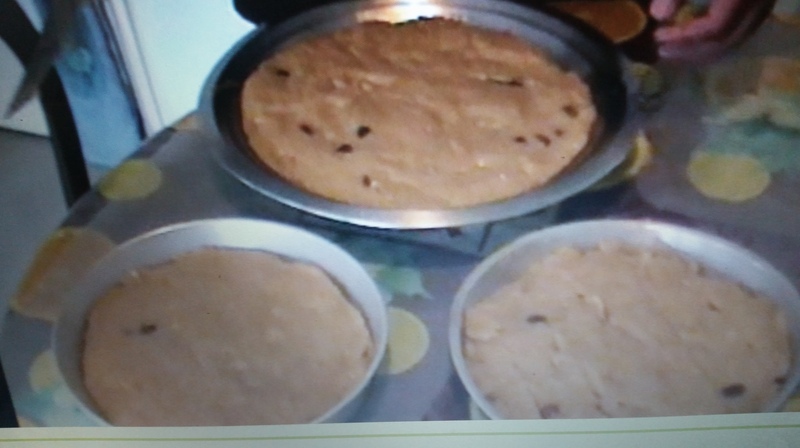 Allow it to cool completely and then cut it into diamond shapes and then place it in refrigerator for an hour and serve. Clean the Mackerels and make a slit along the back of the Mackerel to make a pocket. Marinate the Mackerels with the salt chillie paste ( use as much as required) and keep aside for half an hour. Chop all the green masala. Keep a pan on fire. Add oil and when hot add the curry leaves and then onions and allow to fry a bit. When onions turn slightly brown add the chillies, ginger & garlic and fry for some more time. Add the tomatoes and fry well. 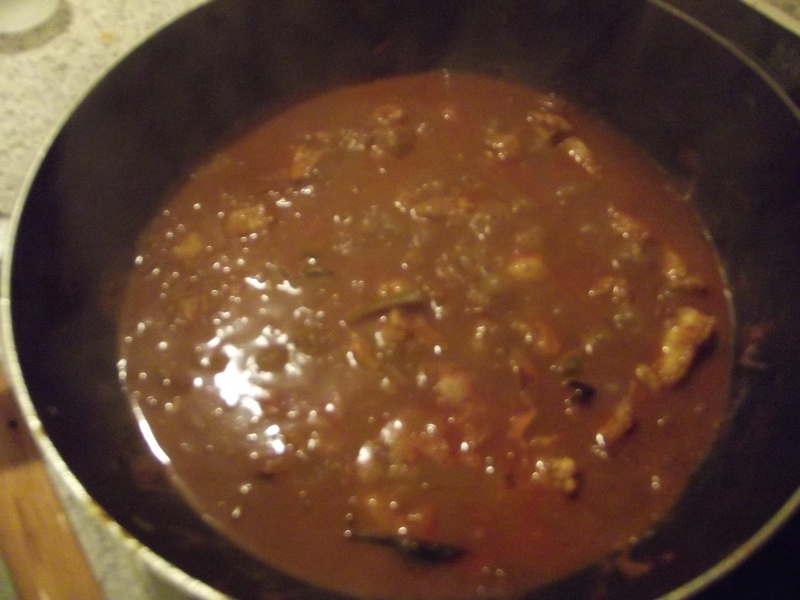 Then add the chillie paste and fry well. 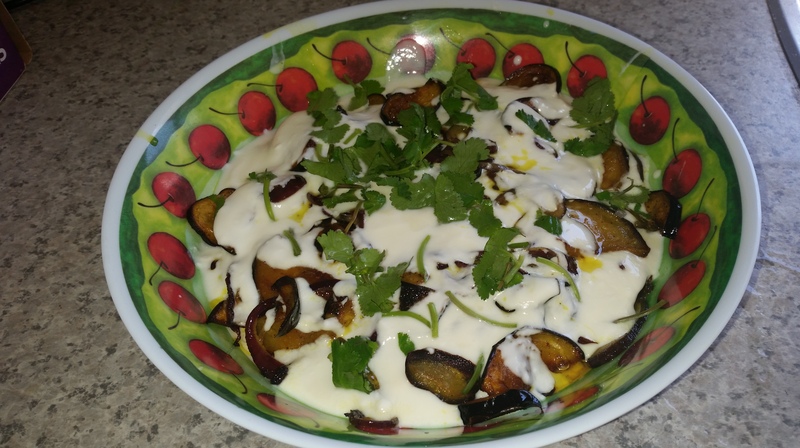 When the mixture has fried well add the coriander leaves and mix well. Cool it completely. Fill the mixture into the pocket which you have made in the Mackerel and also in the stomach. 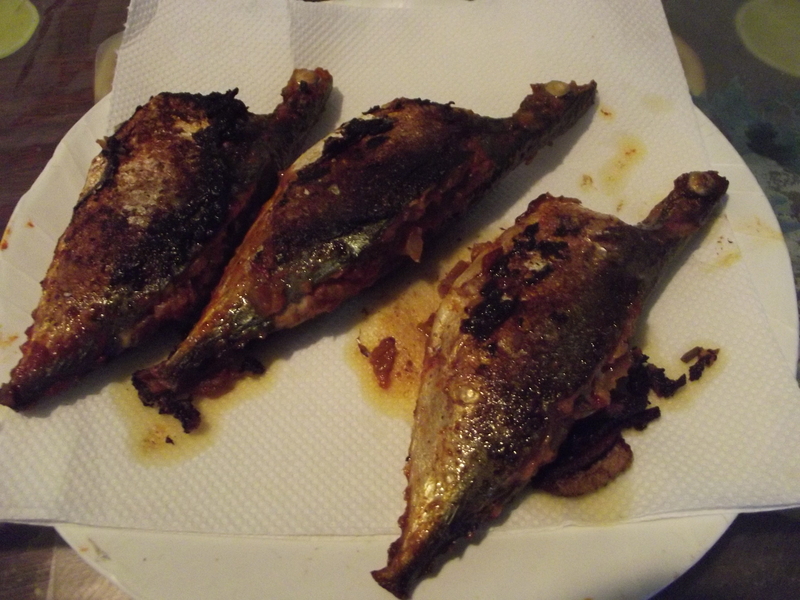 Place a pan on fire, put some oil for frying and shallow fry the Mackerel. After about 7 minutes check if the Mackerel is fried and can be turned over. Now turn to the other side and fry for 5 minutes. Remove and it is ready to eat. 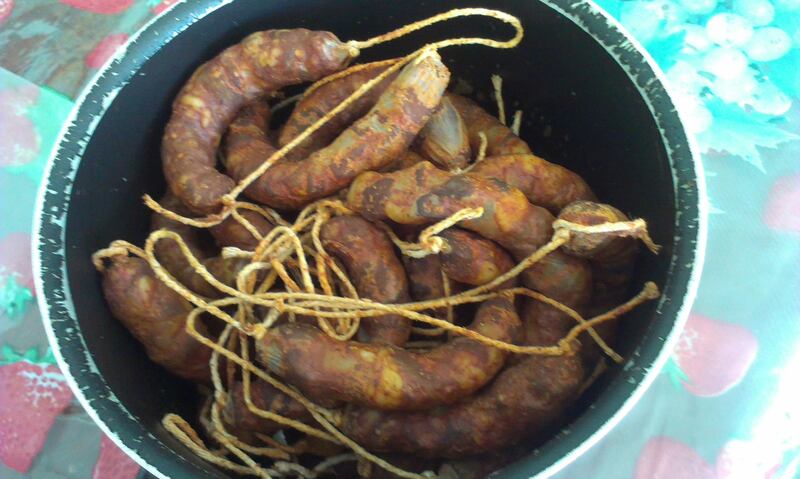 You may have this with some Sliced onions and green chillie (sliced) mixed in some vinegar and salt (salad). 2 Onions to be chopped. Clean the shark, wash and cut into pieces. Add little salt (1 tsp) and a little vinegar, mix and keep aside for about 15 minutes. Grind the masala. Place a pan on fire. Add oil (3 spoons). When hot add curry leaves and then chopped onions. When brown add the ground masala and fry well. When the mixture turns brown add the masala water, tamarind water, spoon vinegar and sliced chillies. When it starts bubbling add the shark pieces and allow to cook. Check if cooked and for salt & vinegar if required and add water if more gravy is required. Remove from fire. 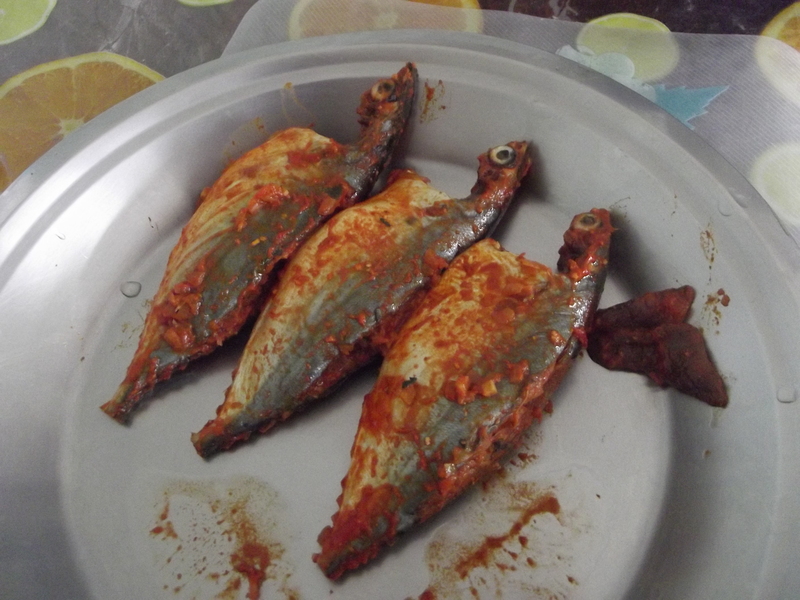 This can be prepared with Mackerel, Seer(Surmai), Pomfret. Cut the chicken into medium pieces and marinate in the marinade ingredients overnight or at least 6 hours in refrigerator. Dry roast the chillies, pepper, coriander, cumin, fenugreek and then grind all the ingredients to a fine paste using little water. Keep the masala water. 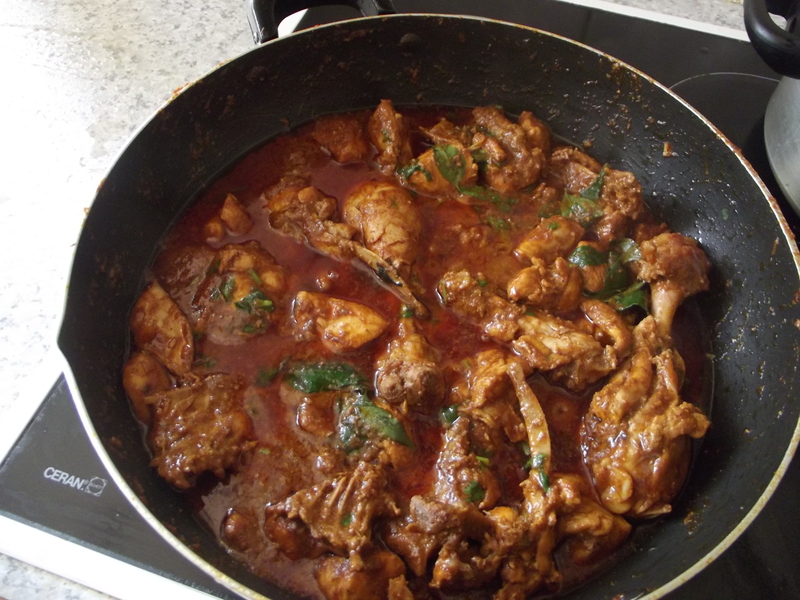 Heat half of the ghee in a pan and add the marinated chicken pieces and fry till almost cooked. Remove the pieces and water. Add the remaining ghee and fry the ground masala till rawness goes and oil comes out of the mixture. Add the fried chicken, some of the water and salt to taste. Cook till water dries up. Add Sugar and mix well. Garnish with curry leaves, chopped coriander leaves and remove from fire. Boil the meat. Mince the meat, onions, potatoes, green chillies, ginger, mint, coriander leaves. Add eggs, pepper powder, garam masala, salt, bread slices, vinegar. Mix well and make lemon sized balls. 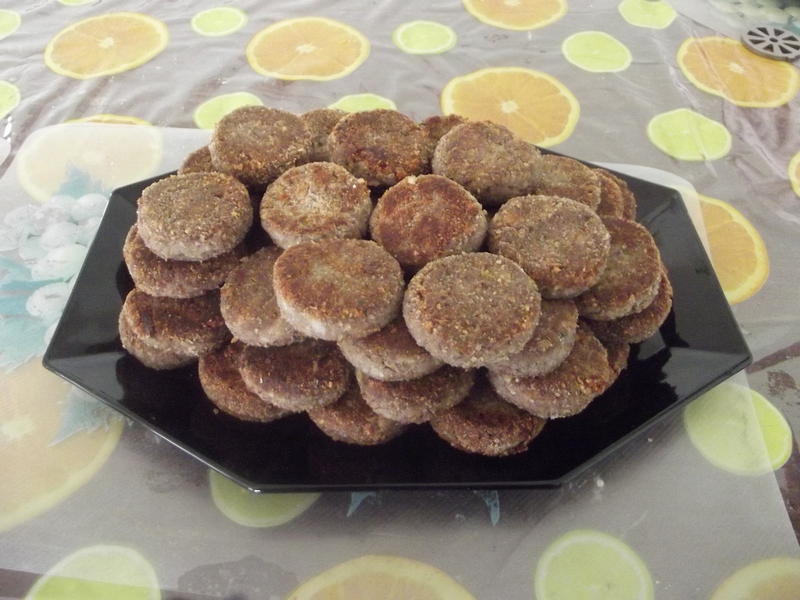 Form the cutlets and then either roll in breadcrumbs or apply white of egg and then shallow fry the cutlets. When brown (don’t fry on high heat) remove them onto paper towels.